Keep time in contemporary style, with this stylish watch from Folli Follie's collection. 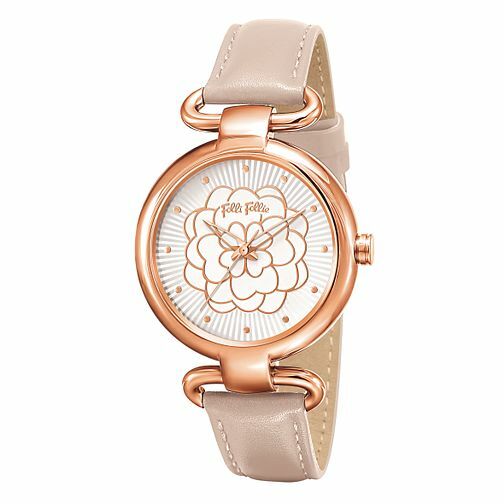 Featuring a tan leather strap, rose gold plated case and fresh white patterned dial. An irresistible statement piece from the affordable luxury fashion label. Folli Follie jewellery and watches are defined by their fashion-forward designs and intricate shapes.